People always ask us how we came up with the name. After a long, hard day of vine work, we climbed to the top of the mountain and felt like fainting. From there our nickname was born. ​​Do we have goats? We certainly do! Ronnie and Reagan are our two fainting goats and they welcome visitors to pet and play with them. We also have award winning wines, a view that only God could create, and a deep love for our business. We welcome you to visit us and would be honored to have you as our guest! ​Our boutique vineyard is nestled up against the southeast side of Burnt Mountain in picturesque Pickens County, Georgia. 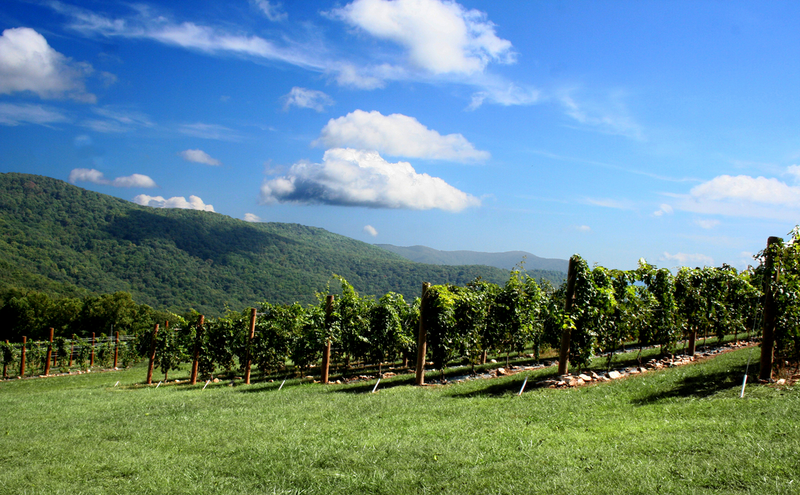 Fainting Goat is a family owned Vineyard and Winery created by a passion for great wine and a love for the earth. We offer live music every weekend day and have Friday Night Concert Series during the season. Our live music is always a free event and we welcome you to bring a picnic and enjoy your wine outside on the Terrace. We are dog and kid friendly, so bring the whole family and enjoy a wonderful day at Fainting Goat Vineyards. Fainting Goat’s exquisite vineyard offers handcrafted wines grown from the finest certified French vines. Our wine list boasts a range of full bodied reds, crisp, fruity whites and sweet blends. Take a glass of wine and enjoy the scenic mountain-view from our 50 foot Veranda. Or stay inside and enjoy the spacious 30 foot ceilings permeated with live music. Floor to ceiling windows allow all guests to appreciate the panoramic views regardless if seated in the Loft or tasting at the bar. Indoor and outdoor fireplaces make tasting at Fainting Goat perfect regardless of season. Join us in the tasting room to sample our wines and talk to our knowledgeable staff and wine maker. Come for the wine, stay for the view. We look forward to enjoying a glass with you soon!